The Bale Mountains (also known as the Urgoma Mountains), in the Oromia Region of southeast Ethiopia, south of the Awash River, are part of the Ethiopian Highlands. They include Tullu Demtu, the second-highest mountain in Ethiopia (4377 meters), and Mount Batu (4307 meters). The Weyib River, a tributary of the Jubba River, rises in these mountains east of Goba. The Bale Mountains National Park covers 2,200 square kilometers of these mountains. The main attractions of the park are the wild alpine scenery, and the relative ease with which visitors can see unique birds and mammals. Day 01 Addis Ababa – Bale Mountains. Morning after breakfast We will Drive from Addis to the Bale Mountains National Park. Arrive at the park headquarters in the afternoon, in time for a relaxed afternoon hike, possibly spotting two prevalent mammals that frequent the area: Menelik’s Bushbuck and the Mountain Nyala. Birds in this area include the Blue-Winged Goose, the Spot-Breasted Lapwing, the Abyssinian Long Claw, the Wattled Ibis, the Black-Headed Siskin, Rouget’s Rail, and numerous other species. Overnight camping. Day 02 Trek to Sodota. Morning after break fast We will Trek through Dinsho and enter the National Park. 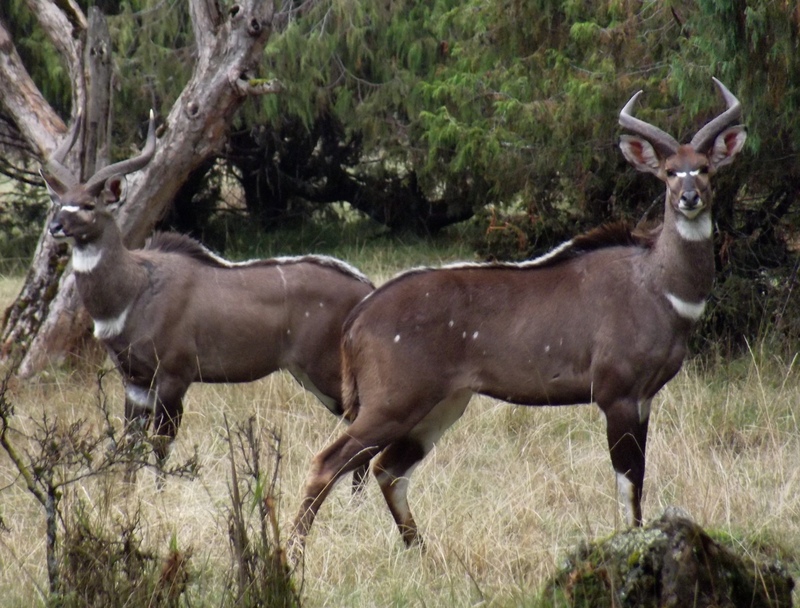 Around Dinsho, the Mountain Nyala and Menelik’s Bushbuck should be able to be seen. While trekking through the park, there will be a chance to see Ethiopian Wolves. Stop by Habera Waterfall for a nice break. Hiking will take 6-7 hours.Camping at Sodota. Day 03 Trek to Wasama. Morning after break fast We will Trek to Wasama through a beautiful landscape with spectacular views. Pass through Mararo Valley where the Lammergeyer and Veraux Eagles keep nests. There will also be a chance a seeing the Ethiopian Wolf and other species of birds. Around 5-6 hours of trekking.Camping at Wasama. Day 04 Trek to Gebre Gurracha. Morning after break fast We will Start the day by hiking up Mt. Wasama (4200m) and then continue down into the Worgona Valley. Falcons, raptors, and possibly the Ethiopian wolf will be visible. End the day at Lake Gebre Gurracha, meaning “black lake” in the Oromic language. Trekking will take 6-7 hours.Camping at Gebre Gurracha. Day 05 Sanetti Plateau – Addis Ababa. Morning after break fast We will Take a short trek from Gebre Gurracha up to the Sennati Plateau to meet vehicles. 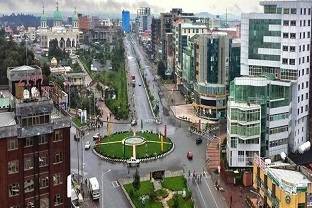 Return to Addis Ababa.